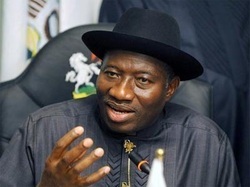 Development in the Nigerian political sphere indicates there may have been a grand design by Nigerian power brokers to rid Jonathan of a second term in office, and that he is not helping matters by his lackluster attitude in the war against corruption. Central Bank Governor, Lamido Sanusi was said to have sent a letter to the president intimating him of fraud in the Petroleum Ministry, but nothing to show he has investigated the accusation. And now former president, Olusegun Obasanjo has also sent him a letter accusing him of lying, destroying Nigeria and promoting corruption! Obasanjo has been rumored as one of the master minders of the 7 governors' battle against the president and his party, and writing an open hold no bare letter like this observers say it is like part of an agenda to end the president's political career. Observers say this development by Obasanjo's writing coming on the heel of the publication of Lamido Sanusi's letter and accusation against the NNPC cannot be separated from the long political battle against the president and his party by 7 governors within his party allegedly motivated by Obasanjo. Five of the governors have decamped to the opposition party, while two are held back by development beyond their control. But observers are saying that if Jonathan's enemies, who enthroned him as president eventually succeeds at rendering him unpopular, it should be for his own unreadiness to show positive signs that he is not corrupt and that he will not condone corruption in his administration. Hands are pointed at Stella Oduah, the aviation minister who spent fortune to purchase 2 BMW cars for his office above above what she was officially entitled to approve and she remains in office. And the people are saying that the petroleum minister, Allison Madueke, needs to be moved and replaced for her undue negative attention in the administration, but the president seems to be deaf to the buzz around him.